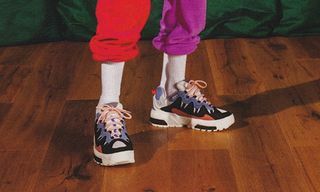 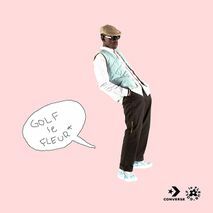 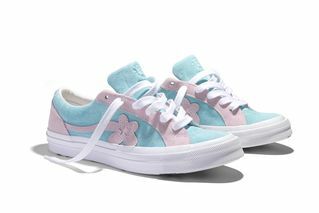 Key Features: Four new colorways of the Tyler, the Creator x Converse GOLF le FLEUR* sneaker have been confirmed: pink/orange, purple/green, red/blue, and light blue/pink. 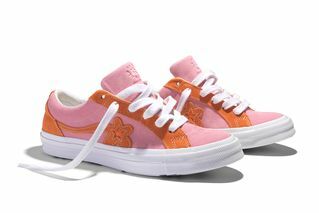 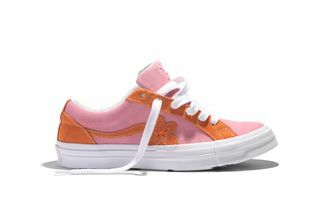 All models feature a suede upper with contrast white stitching and the sneaker’s recognizable flower motif. 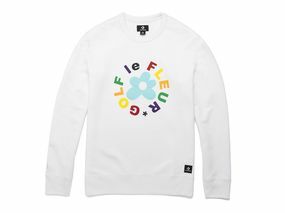 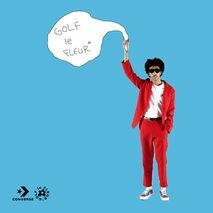 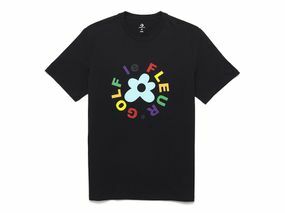 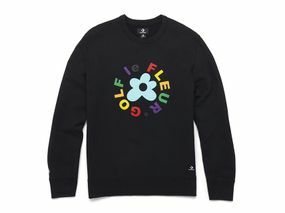 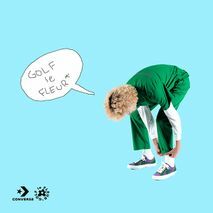 Editor’s Notes: After months of teasing, a host of new GOLF le FLEUR* editions are dropping at the beginning of June. We first peeped the new colorways in Tyler, the Creator’s “Okra” video. The clip showed a Goosebumps-esque purple and green colorway alongside a red and blue version. 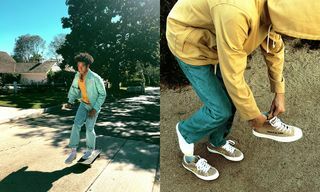 Elsewhere, Instagram users have also been teasing the kicks; @phillipischillin posted the now-released tonal green model alongside the purple and green colorway, while London-based Milo Black took to Instagram to share an on-foot picture of the red and blue iteration. 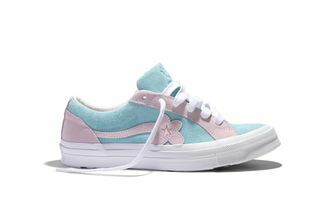 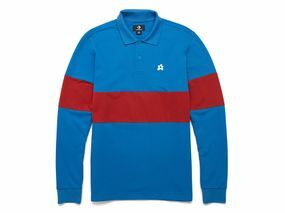 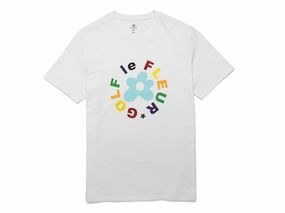 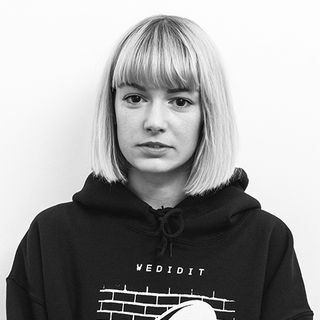 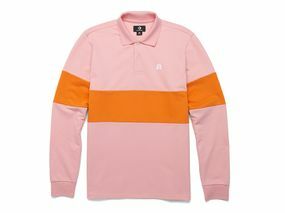 The release also includes two more summer-ready colorways: a two-tone baby blue and pink sneaker, and an orange and pink version, as well as matching crewnecks, T-shirts, and polos. 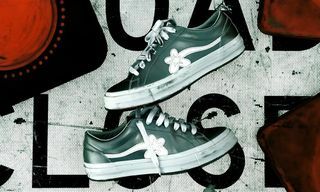 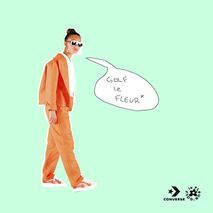 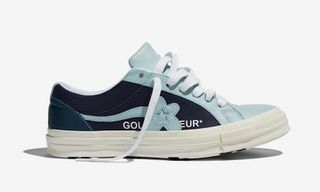 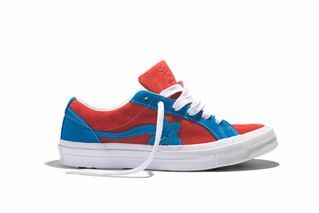 The new GOLF le FLEUR*s are slated to arrive June 1, exclusively on the Golf Wang and Converse websites. 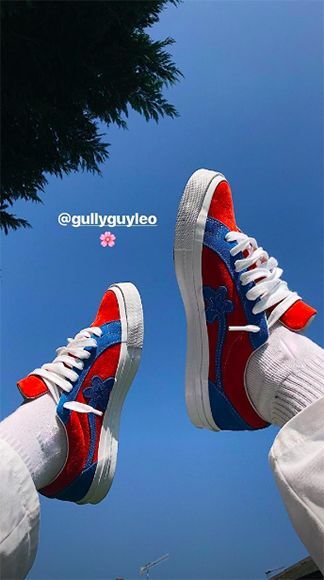 Browse the lineup above and let us know which colorway you plan to cop in the comments below. 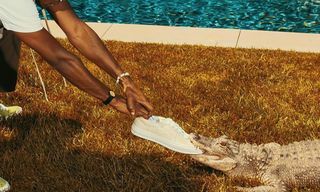 In other sneaker news, Virgil Abloh’s Air Jordan 1 “UNC” now has a release date.